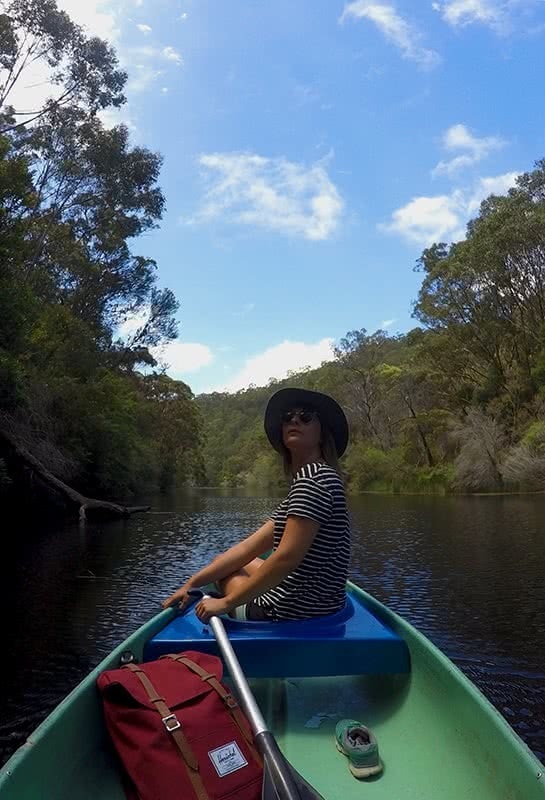 For those of us limited to exploring NSW by train, bus and foot, this is a great adventure to add to the list. A train from Sydney centre to Loftus Train Station on the edge of the Royal National Park will set you back a few dollars and an hour of your time. Taking you from urban jungle to scribbly gum forest while you take a nap. 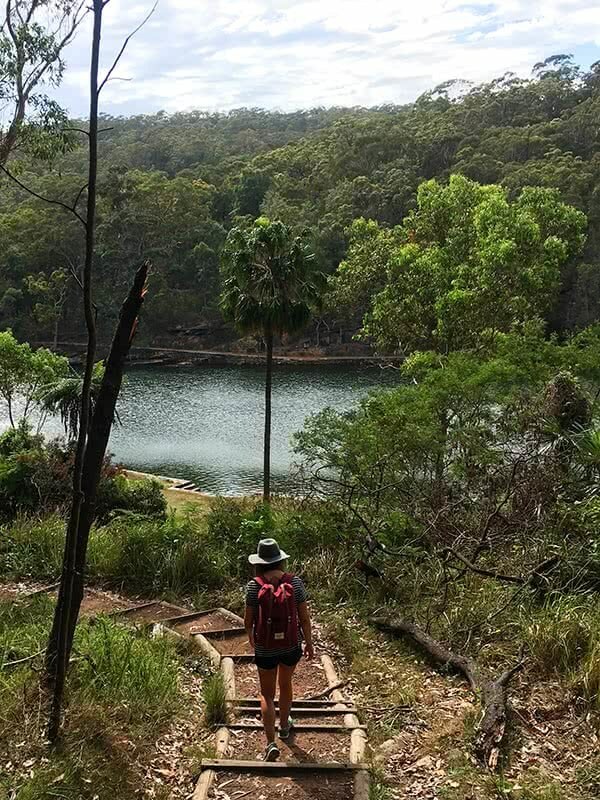 From Loftus station, it’s a 4km walk into the forest to reach Audley Boatshed, following the Loftus Trig Trail before switching onto the Honeymoon Track. For those who might still be half asleep, the path slopes downhill the whole way. Great on the way there, but save some trail mix for the walk back up! 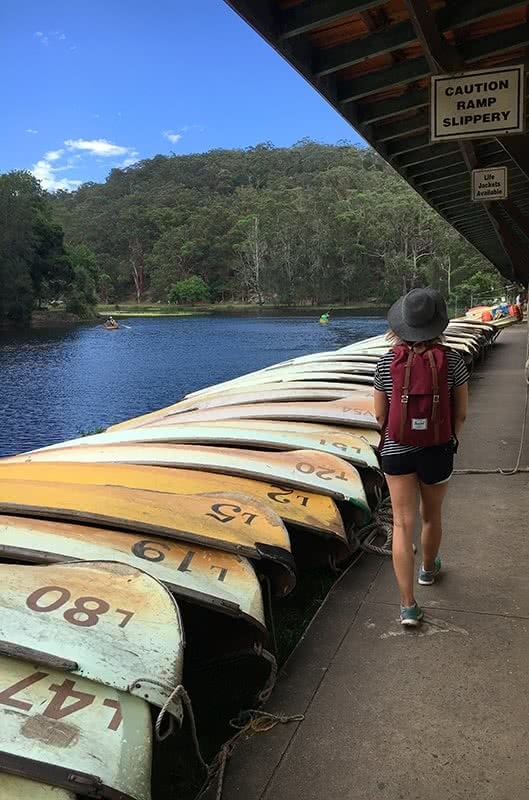 Once you reach the bottom of the valley, Audley Boatshed is signposted to your right. But, rather than getting stuck in with the paddling, a slight detour to Audley Dance Hall & Café will provide all the caffeine and cake you need to fuel those shoulders for the adventure ahead (psst… they also sell a cheeky beer for when you want to revel in your paddling skills afterwards). The boatshed rents all sorts of creek-going-craft. From paddle operated water-tractors that will take the whole family, to individual canoes for the more adventurous. All available for various times and prices. 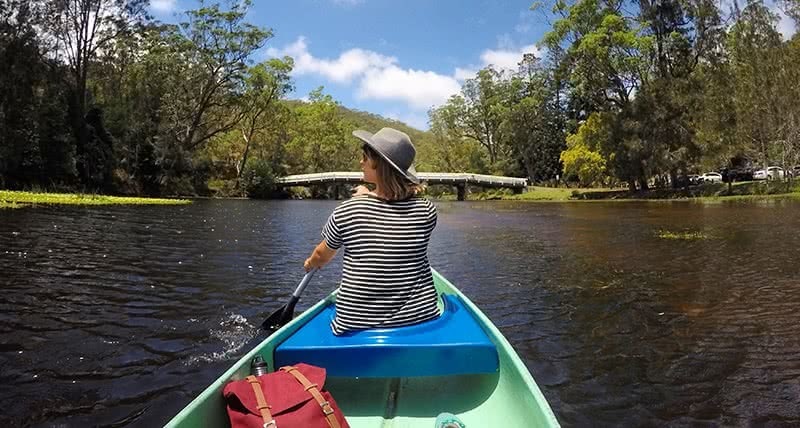 The journey up Kangaroo Creek is easy going, allowing you to take in your surroundings as the sounds of the road and café melt away and the sounds of Whip Birds and Cicadas come into focus. A great tip is to go early. Being one of the first boats out means you get to glide upstream alone, feeling like you could be a thousand miles from the nearest human. Navigation is easy and once you reach the jumble of boulders that mark the end of the creek, you can haul your craft onto the bank and take a dip in the warm, shallow waters. 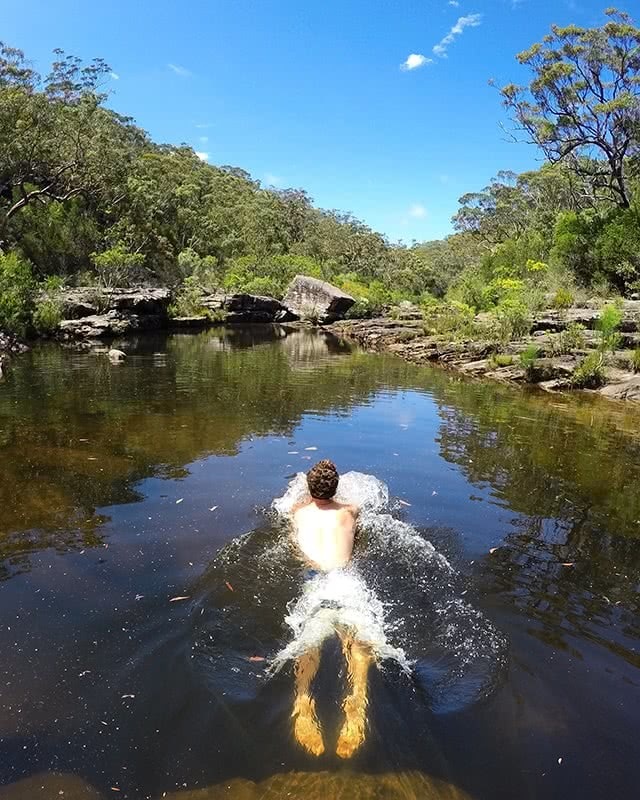 You might see the odd eel or two, but it adds to the sense of adventure when you’re only a short train journey from the city. Trains regularly depart Sydney CBD to Loftus Train Station. 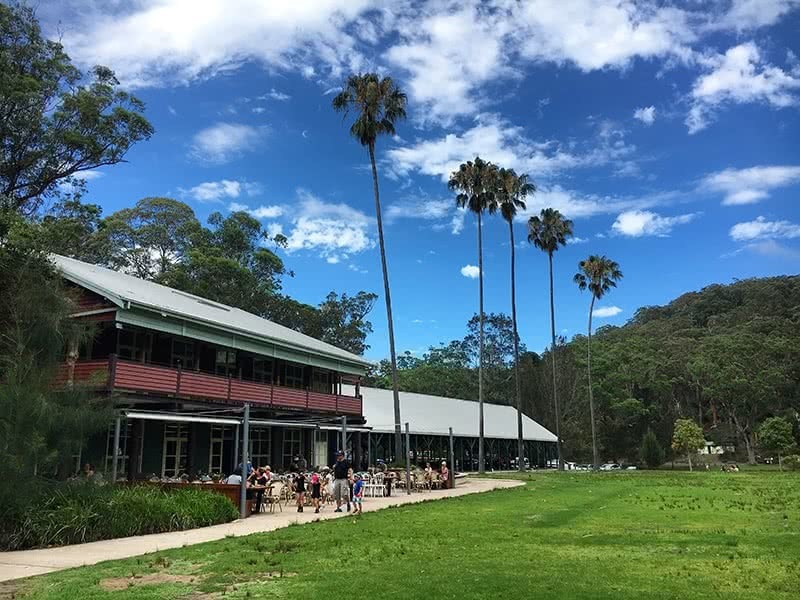 From there it is a 4km walk downhill to Audley Dance Hall & Café and Audley Boatshed. Where you want to paddle is then up to you.